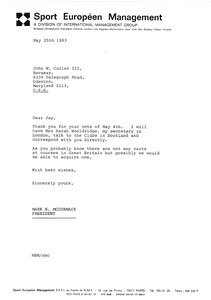 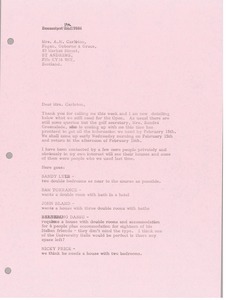 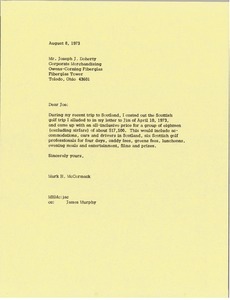 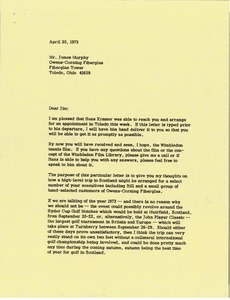 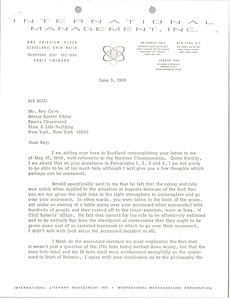 Scotland - McCormack thanks John W. Cullen III for his note of May 4th and indicates that he will have Sarah Wooldridge talk to the clubs in Scotland and correspond with him directly. 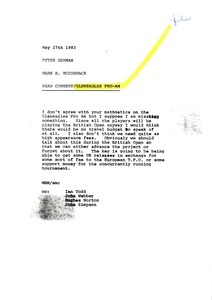 McCormack also notes that there are not any carts at courses in Great Britain but that they would possibly be able to acquire one. 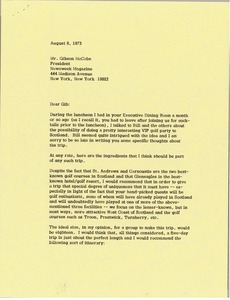 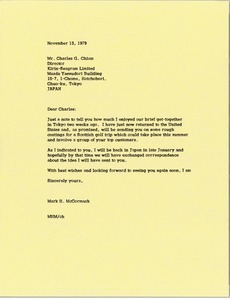 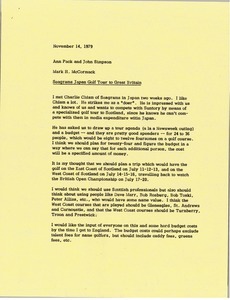 Scotland - McCormack informs Charles G. Chism that he will be sending him some rough costings for a Scottish golf trip which could take place this summer and involve a group of his top customers. 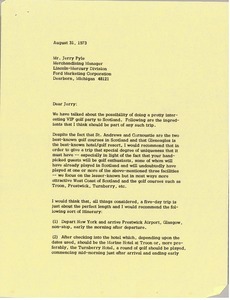 Scotland - Concerning rooms and accommodations for various people for the Open Golf Tournament in February at St. Andrews.